I have been an active member of Ads Messenger since the beginning. 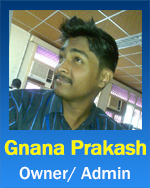 I can always count on great traffic, service and support from all of Gnana Prakash's sites. I recommend getting started right away with guaranteed views of real people from Ads Messenger.